London (HAN) July 7, 2014 – Press Release, Human Rights Watch. Yemeni security forces arrested Ethiopian rebel leader (with the tip of Ethiopian Embassy in London) last month while he was in transit on a flight from Dubai to Eritrea and then deported him to Ethiopia. Ethiopia has formally charged 46 people, most with military backgrounds, with conspiracy to assassinate public officials and overthrow the government. The accused include a prominent former political leader living in exile in the United States. Charges against the alleged conspirators were filed in an Addis Ababa court. More than 30 of the suspects are current or former army officers, including a highly-decorated general who was said to be the leader of the military wing of the conspiracy. Ethiopian Communications Minister says 32 of those charged are in custody. Twelve are in exile, mostly in the United States and Britain including Andargachew Tsige. The whereabouts of the other two are unknown. Press Release: An exiled Ethiopian opposition leader unlawfully deported by Yemen back to Ethiopia is at risk of mistreatment including torture. Andargachew Tsige is secretary-general of Ginbot 7, a banned Ethiopian opposition organization, and was convicted and sentenced to death in absentia in separate trials in Ethiopia in 2009 and 2012. In a statement Monday, the rights group urged Ethiopia’s government to ensure the safety of Andargachew Tsige, the secretary-general of a banned Ethiopian opposition group called Ginbot 7. The current whereabouts of Andargachew, a British national, is unknown, raising concerns for his safety. The Ethiopian government should take all necessary steps to ensure Andargachew’s safety and his right to a fair trial. Many individuals arrested in politically related cases in Ethiopia are detained in Addis Ababa’s Maekelawi prison. In an October 2013 report, Human Rights Watch documented the use of torture by authorities against detainees in Maekelawi, including members of opposition political parties and organizations, as well as journalists. Yemeni officials arrested Andargachew at El Rahaba Airport in Sanaa, Yemen, on June 23 or 24, 2014, while he was in transit on a flight from Dubai to Eritrea. They did not permit him consular access to UK embassy officials and summarily deported him to Ethiopia, credible sources told Human Rights Watch, despite his being at risk of mistreatment. Yemeni authorities initially denied any knowledge of Andargachew’s detention and transfer to Ethiopia. Ethiopian government officials publicly called for his extradition from Yemen on July 3. Under the Convention against Torture, which Yemen ratified in 1991, a government may not “expel, return (‘refouler’) or extradite a person to another State where there are substantial grounds for believing that he would be in danger of being subjected to torture.” These protections override any extradition treaty or other security arrangement that may exist between Yemen and Ethiopia. Trials in absentia generally violate the defendant’s right to present an adequate defense, concerns heightened in cases involving the death penalty. 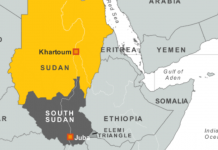 “Yemen blatantly violated its international legal obligations by deporting someone to Ethiopia who not only is at serious risk of torture, but also faces the death sentence after being tried in absentia,” Lefkow said. 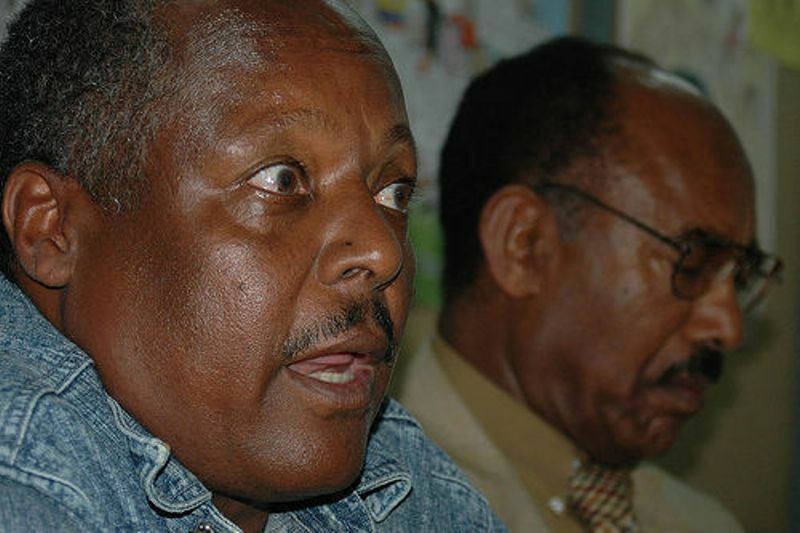 Ginbot 7, of which Andargachew is a founding member, was established in the aftermath of Ethiopia’s controversial May 2005 national elections. The Ethiopian government banned Ginbot 7, which has advocated the armed overthrow of the Ethiopian government, and officially considers it to be a terrorist organization. The government has prosecuted Ginbot 7 members and leaders in trials that did not meet international fair trial standards. In November 2009, a court convicted Andargachew and 39 others under the criminal code on terrorism-related charges. Andargachew, who was tried in absentia, was sentenced to death. In June 2012, he was convicted again in absentia, this time under the abusive 2009 anti-terrorism law, along with 23 journalists, activists, and opposition members. Again, he was sentenced to death. Human Rights Watch has repeatedly criticized provisions in Ethiopia’s anti-terrorism law that violate due process rights guaranteed under Ethiopian and international law. At least 34 people, including 11 journalists and four Ginbot 7 leaders, are known to have been sentenced under the law since late 2011 in what appeared to be politically motivated trials; the real number is likely much higher. Suspects held under the law may be detained for up to four months without charge, among the longest periods under anti-terrorism legislation worldwide. Ethiopian courts have shown little independence from the government in politically sensitive cases. Defendants have regularly been denied access to legal counsel during pretrial detention, and complaints from defendants of mistreatment and torture have not been appropriately investigated or addressed – even when defendants have complained in court. The Ethiopian government routinely denies that torture and mistreatment occurs in detention. It restricts access to prisons for international observers, monitors, and consular officials, making it difficult to monitor the number and treatment of prisoners. In several cases documented by Human Rights Watch, Ethiopian security officials have arrested foreign nationals, denied knowledge of their whereabouts, and delayed access for consular officials for long periods. In 2007 Human Rights Watch documented the forced transfer of scores of men, women, and children from Somalia and Kenya to Ethiopia. One of the men, Bashir Makhtal, a Canadian citizen of Ethiopian origin who was accused of membership of the Ogaden National Liberation Front (ONLF), a banned armed movement in Ethiopia, was denied consular access for 18 months. Meanwhile in 2010 and again in 2012, refugees registered with the United Nations High Commissioner for Refugees in Kenya were unlawfully returned to Ethiopia and told Human Rights Watch that they were subsequently tortured in detention. In all of these cases, the individuals were accused of belonging to groups that the Ethiopian government has designated as terrorist groups. “Given its appalling track record of mistreating members and perceived supporters of banned groups, Ethiopia should know that the world will be watching how it treats Andargachew Tsige,” Lefkow said.